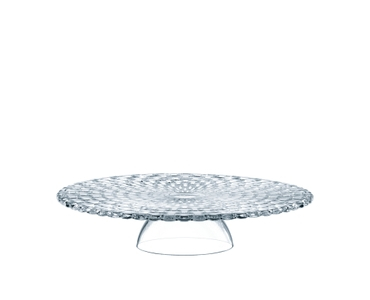 The brilliant machine-made cake plate with dome of the popular glass collection Bossa Nova adds sparkle to every day as well as festive table decorations. The cake plate with dome is a very beautiful and stylish alternative to serve cakes and pastries. Bossa Nova tableware adds interest to the table decoration with the same cool sensibility as the dance for which it is named. As all NACHTMANN crystal this item is dishwasher safe.